Gimme A Car That's Cheap, Sporty And 'Green' As automakers focus on making more hybrid and electric vehicles, one driver hopes they will figure out how to make them as appealing — and pocketbook friendly — to the sports car driver as they are to the environmentalist. 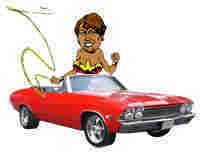 After being denied the role of Wonder Woman, the author is now lamenting the lack of affordable energy-efficient sports car options. Actor Daniel Craig took the Aston Martin DBS through its paces during the opening scenes of the latest James Bond movie. This week congressional Democrats and the White House are finalizing a $15 billion emergency loan package to help prevent the collapse of General Motors Corp. and Chrysler LLC. Maybe they wouldn't need these loans if they just made an affordable "green" sports car. Cars with manual shift transmissions. Cars with engines that rumble and roar when you turn the ignition. Cars with sleek, aerodynamic bodies that sit low to the ground, grip the road, hug curves and limit the number of passengers. 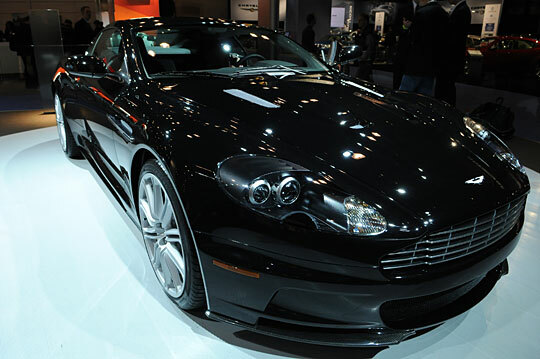 While other people might have drooled over actor Daniel Craig in the latest Bond flick, Quantum of Solace, I couldn't tear my eyes away from the Aston Martin DBS he drove during the opening scene car chase. At one point I turned to my husband and whispered, "I WANT THAT CAR!" So recently when a local TV station did a spot on the latest trends in hybrid and electric cars, I wondered for the 8,000th time, "Why are all of these cars ugly?" My love of sports cars is an old one, born when my uncle bought his Datsun 280ZX in 1978. I practically worshipped that car and begged him to give me rides all of the time so I could watch him changing gears and pushing the clutch. For years I would play games with my cousin, where I pretended to be racing down highways in the Z darting in and out of lanes, dodging traffic and the police and and ... well, let's just say, I get Danica Patrick. When I turned 16 and got my driver's license my uncle tossed me the keys to the Z and told me to ride out. I rolled down hills, stalled at stop signs and held up traffic at several intersections while I figured out what a friction point was and how to control it. I also understand the need to save the environment. I saw An Inconvenient Truth. I read the recent stories about acorns disappearing. And admittedly, I likely will end up putting about town in a Smart Car when it's all said and done. But what I don't understand is why car manufacturers can't create a reasonably priced, energy-efficient vehicle that looks like a Porsche. OK, maybe that's revving it up too much, but surely there is some aesthetic middle ground between that flashy eyecatcher and the Smart Car. At some point more of the Tesla roadsters will hit the road, but if the manufacturer sticks to the $110,000 per car pricing plan, I won't be driving it. And some of the other options coming to the market — the Venturi Fetish, Lightning GT and the Fisker Karma — are also priced for people who likely have more disposable cash than the average two-income family. Sigh. But if the goal is to get more people driving cars that cause less damage to the environment, it would seem a no-brainer that car manufacturers would start designing jazzier-looking, reasonably priced cars. Those cars would appeal to people who care about the environment, but also get excited about the driving experience and crave a car that looks and performs like the Aston Martin DBS. Hopefully one day soon I'll be able to say "I love hybrid sports cars." Tanya Ballard Brown is an editor for NPR.org.